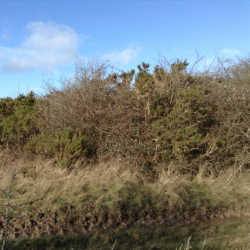 Scrub Clearance is the process of returning areas of under-managed or forgotten land covered with vegetation to a suitable condition for re-introduction into production or prior to development. We work with clients in towns and Cities such as Bristol and Bath and cover all of the Southwest Counties including Wiltshire, Somerset, Berkshire, Dorset and Gloucestershire. 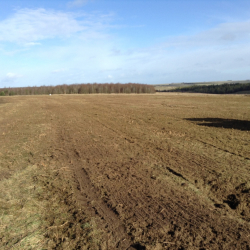 We carry out scrub clearance in a wide range of situations by mechanical or chemical means. 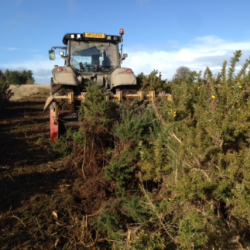 Scrub clearance is followed by chemical treatment to stumps and re-growth where required, either by hand, ATV or weed wiper - from whole no-burn site clearance, clearing of scrub gorse, thorn, bramble etc to whole trees leaving a tidy finish. Our large mulcher is capable of tackling brambles up to small trees. Tracked 360 excavator - 13 ton low ground pressure tracked machine suitable for wet and steep conditions, also used for ground works and general digging works when not on forestry duty. Seppi Forestry Mulcher on reverse drive Valtra - used to clear scrub and small trees from large and small sites where dense scrub makes works by hand time consuming and expensive. It leaves fine mulch which rots down quickly. If you would like a no nonsense quotation for vegetation management, scrub clearance or green waste removal, get in touch.